In a previous blog post, Monitoring Event Logs with PowerShell, I showed you how to use Get-WinEvent to perform basic event log monitoring using PowerShell. 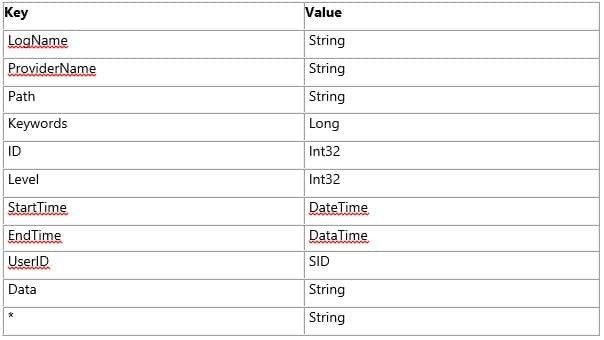 In this article, I want to demonstrate how Get-WinEvent can be used to run more complex queries using the –FilterHashtable parameter. Notice the event level must be specified as an integer, where 2 corresponds to the Error event level. As you can see from the commands above, a hash table allows us to map keys to values. I.e. The logname key is mapped to ‘system’, and level to 2. 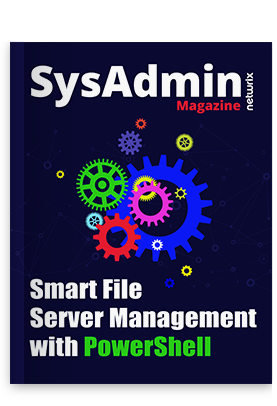 In PowerShell, hash tables are often used as a means of specifying values in a command a more concise and readable form, without having to write a long set of parameters. Here we get both Error and Warning level events. If you want to specify a start time, it’s best to define it in a variable first using the Get-Date and New-TimeSpan cmdlets. The $time variable defined below will show all events starting from yesterday, i.e. today’s date minus 24 hours. To expand the query further, I’m going to add some more key/value pairs to the hash table. Most of them, as listed in the table above, are self-explanatory; with the exception of Keywords, which as you see doesn’t accept a string input. I will explain how to use this key in a future post. In this example, it just happens that all the returned events came from the same provider, but that might not necessarily be the case. What is the best way to filter the events returned by Get-WinEvent?